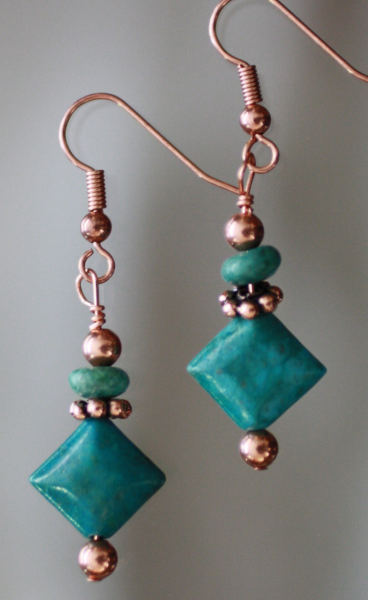 These beautiful drop earrings were created featuring a combination of diamond and donut shaped turquoise gemstone beads along with copper beads and spacers. They are approximately 1-3/4" in length. They are light and fun to wear. The earrings will arrive in a box appropriate for gifting.